When most people think of Florida, they think of sunshine, theme parks, orange juice and alligators. But this former Spanish colony, which became the 27th state to enter the Union, is much more than that. 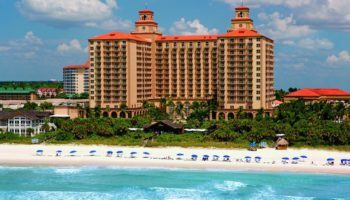 Bordered by the Atlantic Ocean on one side and the Gulf of Mexico on the other, it has mile upon mile of white sand beaches. 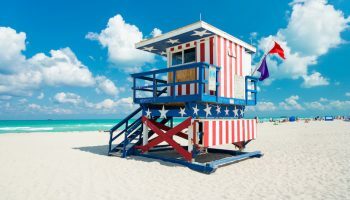 This is the US state where you’ll find Miami and its immediate neighbor Miami Beach – both famous for their Art Deco architecture, Cuban culture, and beaches, of course. Naples may have had rustic beginnings, but today this Gulf of Mexico city is one of the wealthiest cities in the United States, with houses selling for more than $40 million. 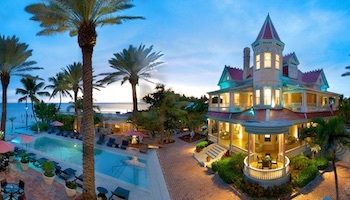 As on Sanibel and Captiva Islands, development along the shoreline has been kept residential. It got its name because the bay it’s located on was said to be prettier than the Bay of Naples in Italy. Besides its beautiful city beach, the nearby wildlife refuges make it a popular tourist destination. These include Everglades National Park, Florida National Wildlife Reserve and Corkscrew Swamp Sanctuary that has a 2.5-mile long boardwalk meandering through it. The city also has vibrant arts and shopping districts. 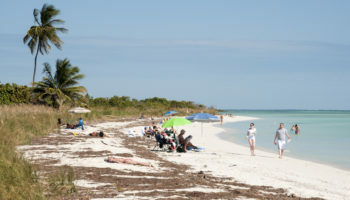 Sanibel Island is located just off Fort Myers in the Gulf of Mexico. It is connected to the mainland by a causeway. It is known as a quiet, natural travel destination, well-suited for families. Wildlife refuges take up more than half of this long narrow island, whose beaches are also popular as places to hunt for shells. This island of less than 7,000 permanent residents may have harbored pirates in the days of yore, if local legends are to be believed. Aside from beachcombing and looking for wildlife, attractions include a highly-rated historical museum, a botanical garden, a lighthouse and an arts center. No longer the Spring Break destination of popular imagination, Fort Lauderdale is today a sophisticated cultural center with an increasingly upmarket social scene. Located on the Atlantic Ocean about 23 miles (37 km) north of Miami Beach it is also known as the “Venice of America” due to its expansive canal system. The city has an impressive tourist infrastructure with plenty of hotels, golf courses, marinas and museums. The city’s Port Everglades is one of the busiest cruise-ship ports in the world, with megaships departing daily for the Caribbean, Mexico and beyond. The most popular section of the city beach is called “The Strip” with eating and drinking establishments that run along the land side of the beach road. Boasting miles of white sandy beaches, Clearwater Beach is separated by the city of Clearwater by the Intracoastal Waterway. USA Today readers in 2013 named it Florida’s Best Beach Town. Besides laying in the white sand and swimming in the clear water there are also many activities offered such as fishing, sailing, kayaking, and dolphin tours. Clearwater Beach is also a happening place, with a variety of events taking place throughout the year. The Philadelphia Phillies hold their spring training camp here the Clearwater Jazz Festival, takes place in October. Or visitors can take in the weekly sunsetting festival at Pier 60, a sports fishing pier. One of Florida’s best natural treasures, the Everglades feature a unique combination of ecosystems that include swamps, sub-tropical jungles, saw-grass prairies and the largest mangrove complex in the Western Hemisphere. Much of the Everglades are protected within the Everglades National Park and provide shelter to a wide variety of birds, fish and reptiles, including endangered species like the American crocodile and the Florida panther. From the Gulf Coast Visitor Center, visitors can arrange boat tours to the Ten Thousand Islands, a labyrinth of mangrove islands. Other visitor centers offer ranger-led tours and programs. An air boat tour is one of the most exciting ways to experience the Everglades. 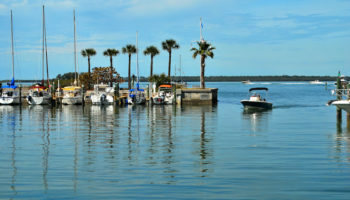 The Tampa Bay area, on the Gulf of Mexico, includes Tampa Bay, a large natural harbor and several popular cities, including Tampa and St. Petersburg. Tampa is home to the NFL’s Tampa Bay Buccaneers. Family-oriented activities include Busch Gardens, a theme park said to have Florida’s best roller coaster rides as well as a zoo dedicated to animals from Africa’s Serengeti Plain. As for beachcombing, St. Pete Beach can’t be beat. It was named the best beach in the United States and fifth in the world by TripAdvisor readers in 2012 because of its white sand beaches and clear water. Orlando is theme-park city, having more theme parks than any place else in the world. . There’s Walt Disney World, Epcot Center, Universal Studios, SeaWorld and Gator Park, to name a few, all of which bring 51 million visitors a year to this central Florida city of 2 million people. This Sunbelt city doesn’t get hit by hurricanes as much as other parts of the state, which makes it a popular place to visit in Florida. One of American’s most visited cities, Orlando is also home to the University of Central Florida, which has the second largest college enrollment in the United States. 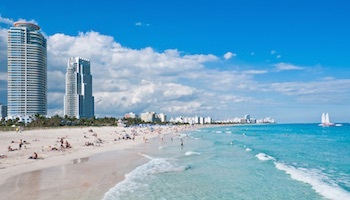 One of the most vibrant cities in the USA, Miami is best known for its Latin culture and sizzling nightlife. Located in southeastern Florida off the coast of the Atlantic Ocean, Miami is also a major port city managing the world’s largest number of passenger cruise ships. 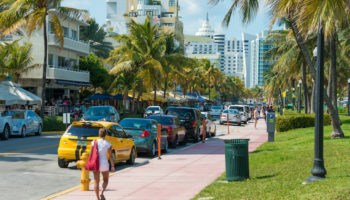 Attracting tourists from all over the planet, Miami is a melting pot of ethnic cultures with a wide array of exciting attractions and activities. 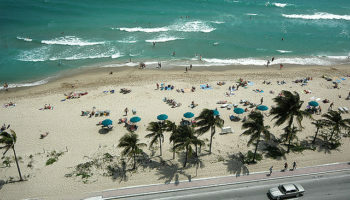 One of Miami’s main draws is its sunny beaches that range from family friendly to party scenes. Across the bay from Miami on a barrier island is Miami Beach, known for its Art Deco architecture and glamorous South Beach. 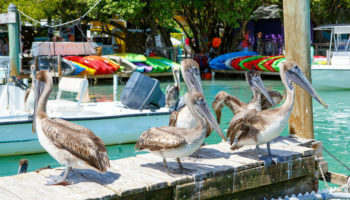 The Florida Keys are a 120 mile long chain of tropical islands curving around the base of the Florida peninsula, connected to the mainland by a series of bridges. The most spectacular bridge, the Seven Mile Bridge in the Lower Keys, has been frequently used as a location for films including True Lies and Fast 2 Furious. US Highway 1, the “Overseas Highway” runs from Key Largo, Islamadora, Marathon, Lower Keys and finally to Key West, the most distant and most famous of the Florida Keys. 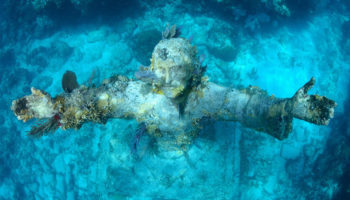 In addition to the beaches, diving and snorkeling, the Florida Keys offer botanical gardens, a variety of museums, family attractions like the Theater of the Sea, and several outstanding state and national parks where tourists can enjoy a wide variety of outdoor recreation and wildlife viewing. 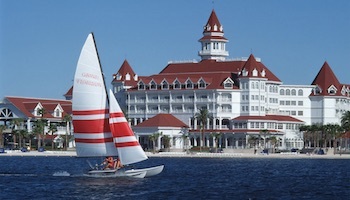 Which destination do you consider the best place to visit in Florida? Florida is the best. On my way soon. Would like to spend the rest of my life there. What about Palm Beach it’s not listed?